In other words the value of Hyatt points has been remarkably stable over the last 5 years, much more so than Marriott, IHG, or Hilton. Now today Hyatt shares that one hotel has gone up in price. There was no advance notice, no opportunity to book at old pricing. But is it terrible to say it’s a property I’d never want to book anyway? Shhhhhhhhhhhhhhh, don’t mess with Hyatt. It’s by far one of the best redemption options for Chase points. I agree. Hyatt is remarkably more stable than Hyatt. @geoff — Yeah, it’s hard for me to understand why any traveller (at least those paying their own way) would care about the Hyatt program, EXCEPT as a means to transfer points from Chase. History suggests that those good redemptions will eventually end but, in the meantime, it’s a great opportunity to get decent hotel rooms at an attractive redemption level. 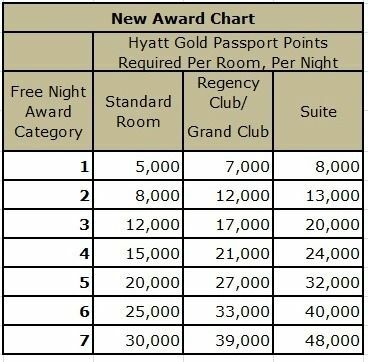 With a Hyatt devaluation I will have to strongly consider moving all my non-bonused spend away from Chase and Hyatt cards and to flat 2% card. Rules change and we adapt according. The day Hyatt no longer becomes a valuable currency is the day I move my spending to a 2% Fidelity card. I fear that day is coming sooner rather than later. Some good points being made by other commenters. I’m not leaving Chase, but now that Korean transfers are gone, there seems to be a noticeable value gap between transfers to Hyatt and other partners… If Hyatt were to devalue, it would be a meaningful hit to chase whereas Amex and Citi seem to have a few partners with about the same value. Why would you even mention this? Do you not think that Chase and Hyatt have people who read your blog? @james – I did not see that speculation? @JJ — What — you’re not generating zillions of Chase points to take your whole family to the Maldives?